Quick, before rhubarb season ends, get a few of these ruby stalks and bake this moist and delicious (and did I say easy?) cake. 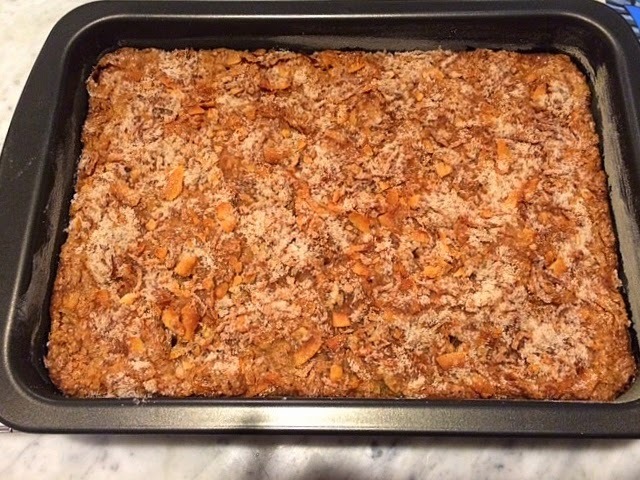 Its coconut topping puts it over the top. 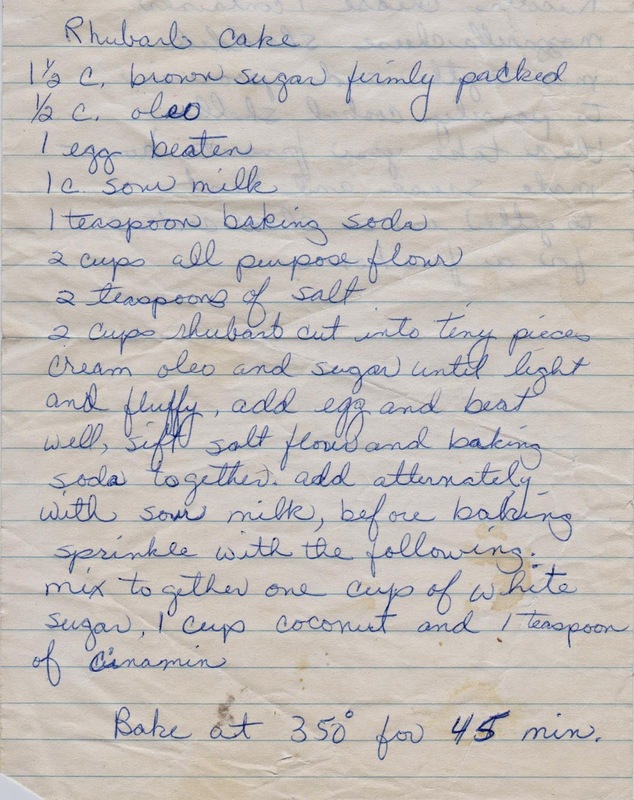 Not sure when the recipe -- written on a sheet of notepaper was recorded -- but I'd guess the 1950s. 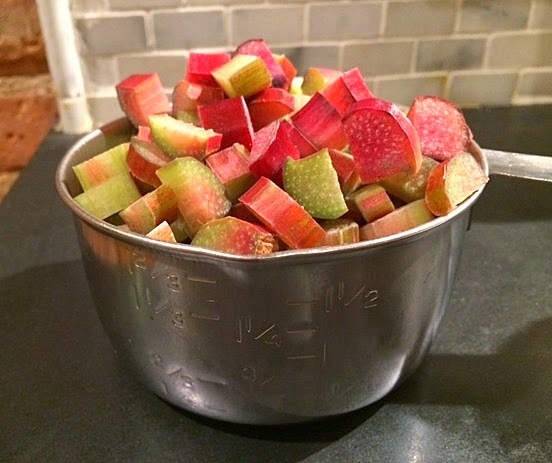 Begin the cake by cutting up enough rhubarb to fill two cups. 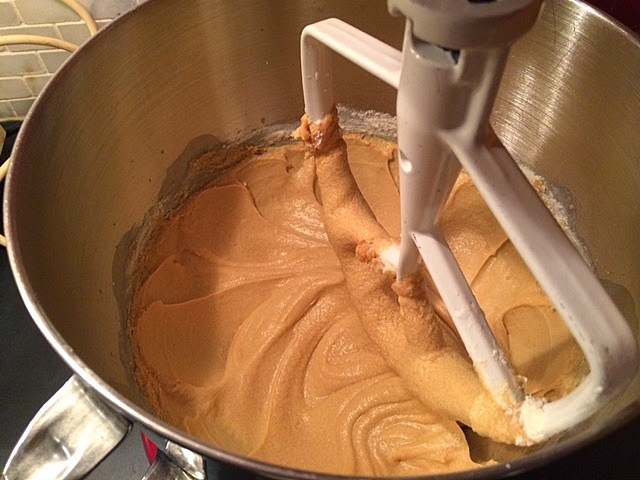 The batter is easy and traditional -- cream the butter and sugar, add the egg, and then alternately add the buttermilk and the dry ingredients (flour, etc.). Finally, fold in the rhubarb. Put the batter in your brand-new personalized pan (or any 12 x 9 pan you may have on hand). 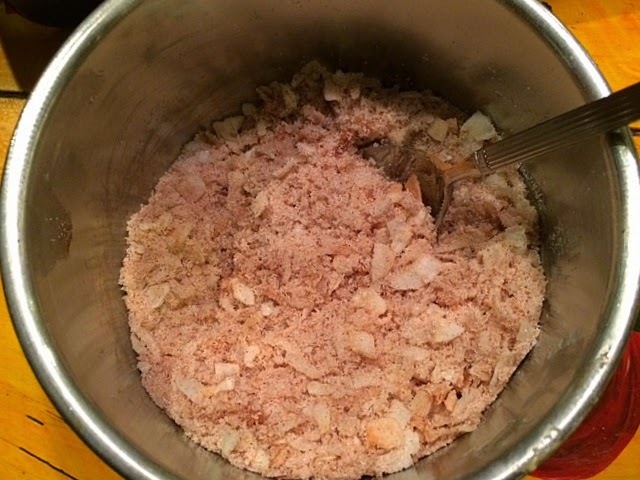 Combine the topping ingredients -- coconut, sugar and cinnamon. Spoon the topping over the batter as evenly as you can and pop it in a 350 F oven. Voila! Let it cool and enjoy. 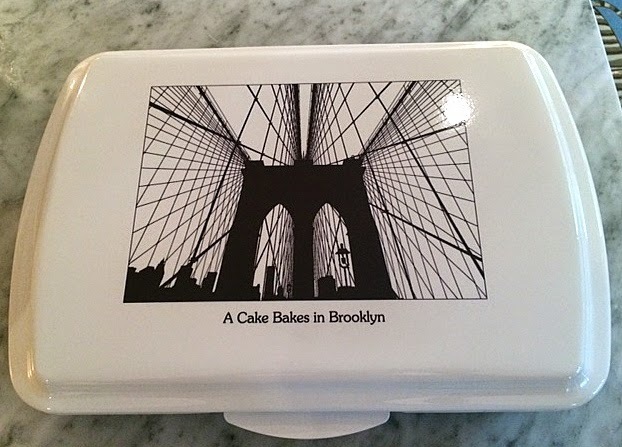 Each of my new pans comes with its own cover, featuring a beautiful graphic of the Brooklyn Bridge. 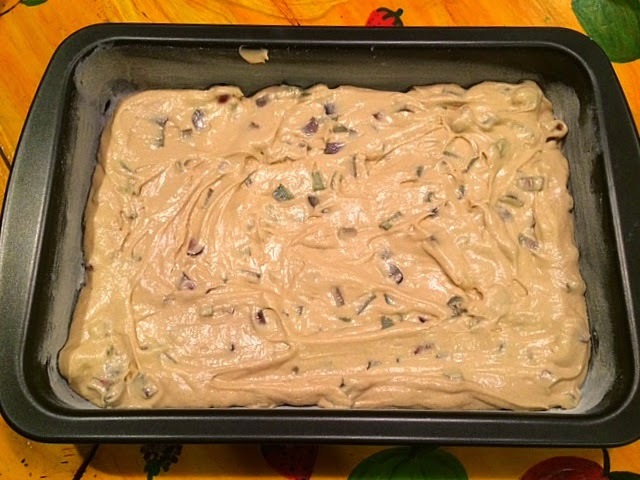 Production notes: I used unsalted butter in place of oleo, and used buttermilk (aka sour milk). This fit nicely in a 12 x 9 inch pan, which I greased and floured, even though it is a non-stick pan. 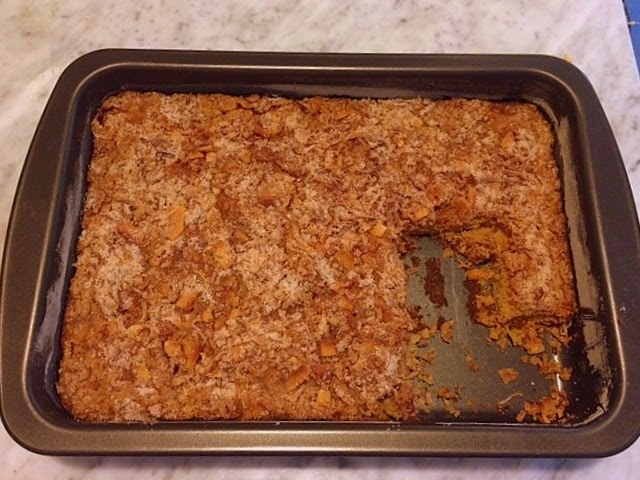 (Why risk the heartache of a cake stuck in a pan?) 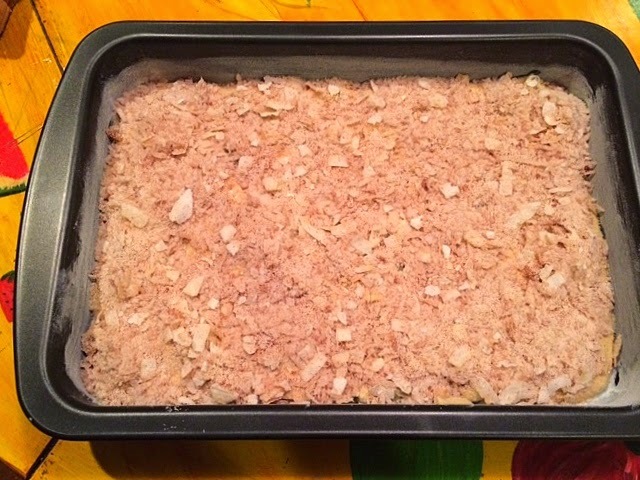 For the coconut, I used 1/2 cup of unsweetened coconut flakes (because I had them on hand) and 1/2 cup of sweetened coconut. 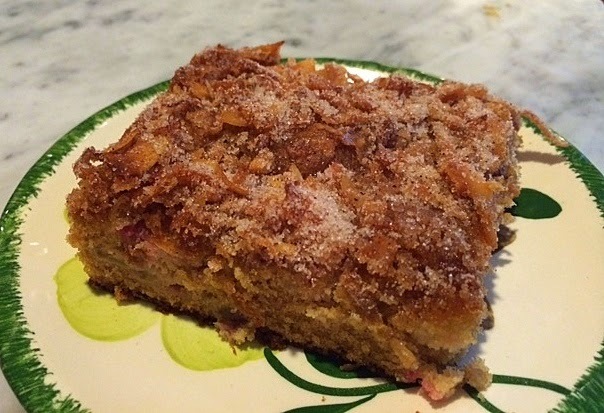 But you can use one cup of sweetened coconut -- the rhubarb is tart and extra sugar is never a bad thing. The recipe's author (a teen, from the looks of the handwriting) neglected to include instructions for adding the rhubarb. Add it at the end. I baked it for about 35 minutes, but it could have baked longer. I have this in the oven now and can't wait to try it. I couldn't bring myself to put in 2 teaspoons of salt because that seemed like a crazy amount of salt for a cake. Did you really use that much? I did (against my better judgement) but "under-measured." It tasted just fine. But I agree with you -- that's double the amount typically called for a in a cake of this size. I was more concerned about it being overly sweet, which it really wasn't, as the tartness of the rhubarb tempered that. Do let me know how it turns out, IndianaAnna.